Happy Mother’s Day from Century Park Associates! This year to celebrate, we would like to share some of the history, traditions and facts about the day we set aside to honor the amazing women in our lives. The origin of Mother’s Day can be found in ancient Greek and Roman traditions, who held festivals to honor mother goddesses Rhea and Cybele. They held springtime rituals, in which they would make offerings of honey-cakes, fine drinks, and flowers at dawn. Modern traditions for Mother’s Day can be seen in an early Christian festival known as “Mothering Sunday,” which originated in England in the 1600’s. This festival was held on the fourth Sunday of Lent, exactly three weeks before Easter Day. Origins of Mother’s Day in the United States can be traced back before the Civil War. Ann Reeves Jarvis organized “Mother’s Friendship Day” in 1868 to encourage the reconciliation of former Union and Confederate soldiers. In Brazil, Mother’s Day is one of the most popular commercial holidays, second only to Christmas. It is celebrated on the second Sunday of May with church events, children’s performances and cookouts with family. In Japan, folks celebrate by gifting their mothers with beautiful carnations. These flowers are meant to represent the strength and grace of mothers. Children often draw pictures of their mothers and give them red carnations. Carnations are also a popular flower to give to mothers in Australia, along with chrysanthemums, since mothers are often called “mum.” Organizations hold events to raise money for women’s causes, and individuals give back by serving others. In the United States alone, around 122 million phone calls are made on Mother’s Day. Common gifts to give include cards, jewelry, books, and even gardening tools. Carnations are a popular flower to give. Pink and red carnations are meant to be given to mothers who are still alive, while white ones are given to honor those who have passed away. Mother’s Day is celebrated in many different places, in many different ways. But one thing that remains the same all over the world is the quality time spent with the wonderful women in our lives. 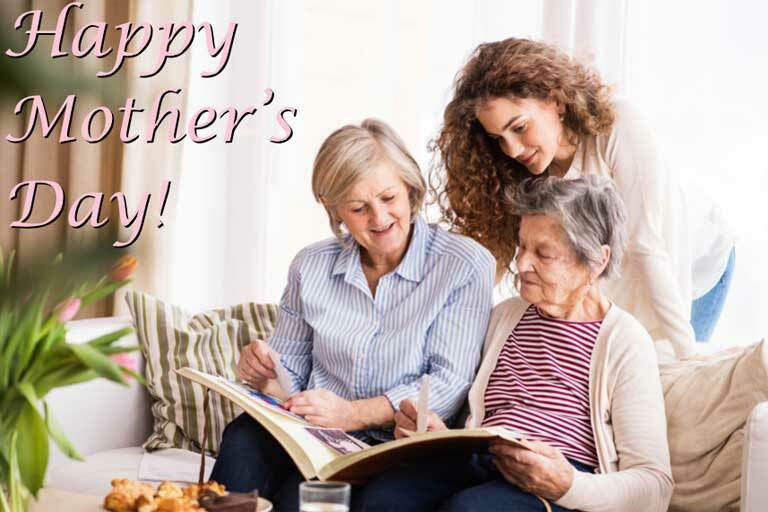 Whether you prefer a fancy dinner or a laid-back barbecue, make sure to take the time to appreciate the mothers, aunts and grandmothers in your life!